We added Cerec to our practice in 2017 and I couldn’t be happier. 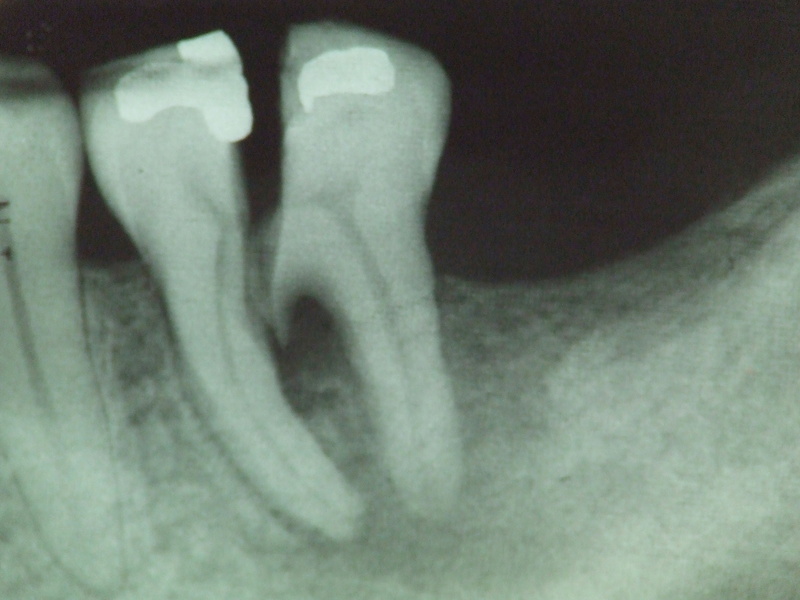 Crowns are a stronger more permanent way to restore badly damaged teeth. 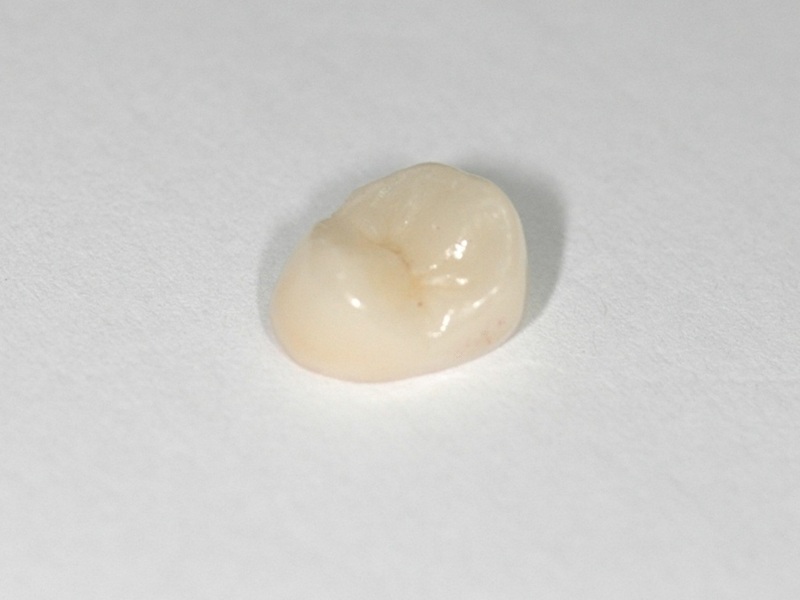 Traditionally a crown is made over 2 visits by initially preparing the tooth, taking messy impressions of the tooth, and fabricating a temporary crown while the impression is used in the laboratory to make the new crown. 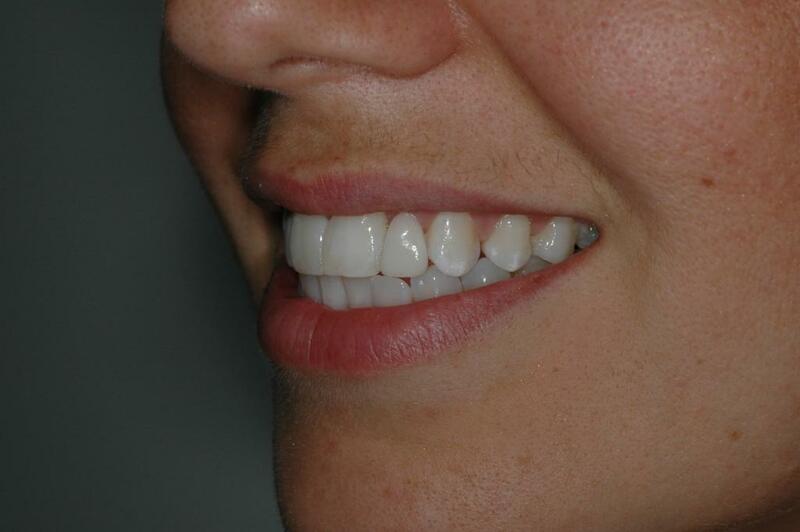 Cerec eliminates this – a digital scan is taken of the tooth, and while the patient sits in the waiting room the scan is used to design a perfectly fitting restoration. The design is milled out of a solid block of ceramic, fired in a furnace to make it strong, and then it is cemented on the tooth – same day, one injection, no mess! 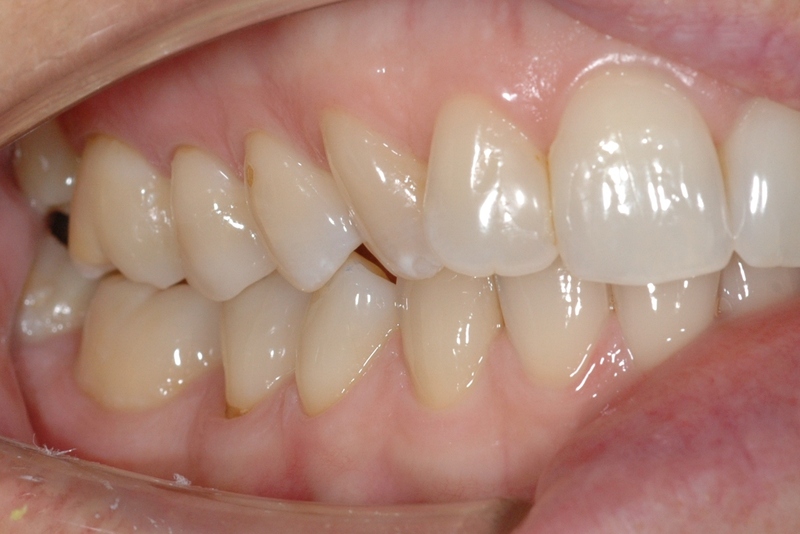 While it is not for every case and there are still requirements for other materials like gold crowns, and the specialised aesthetic work that my laboratory technician does so well, I am loving the opportunity to provide quality restorations with the convenience that Cerec provides. 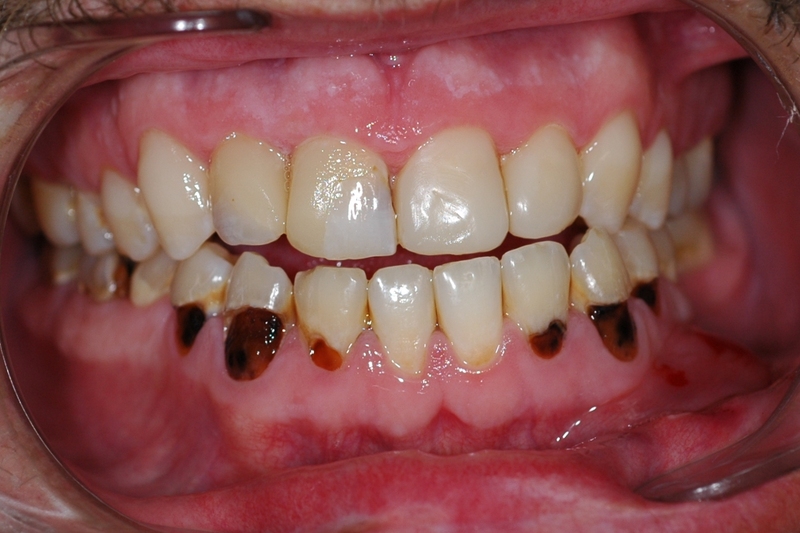 You will see my post from several years ago about teeth and white spots. 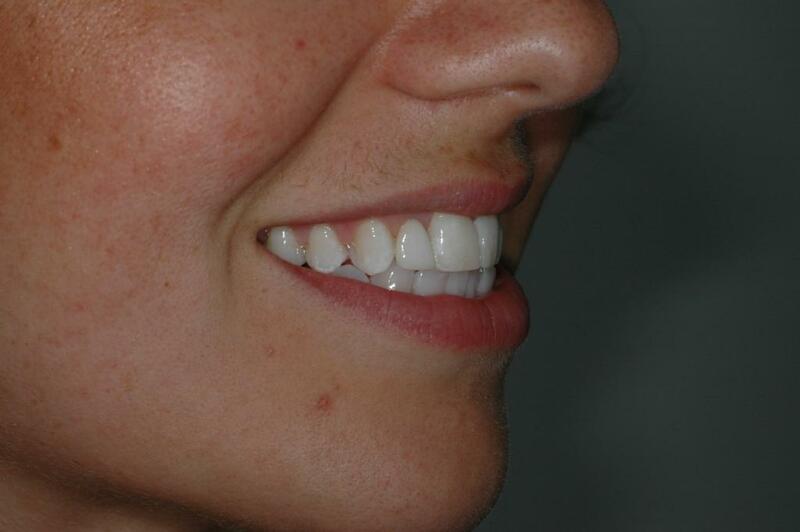 Some white spots are due to acid damage and a period of reduced brushing effectiveness or higher sugar diet. 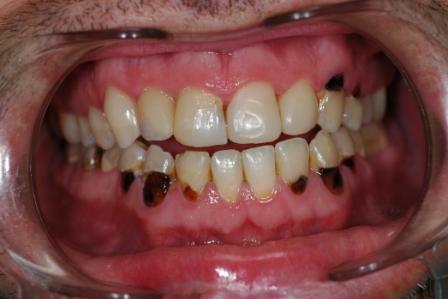 This can be common after braces because it is harder to clean around the wires. 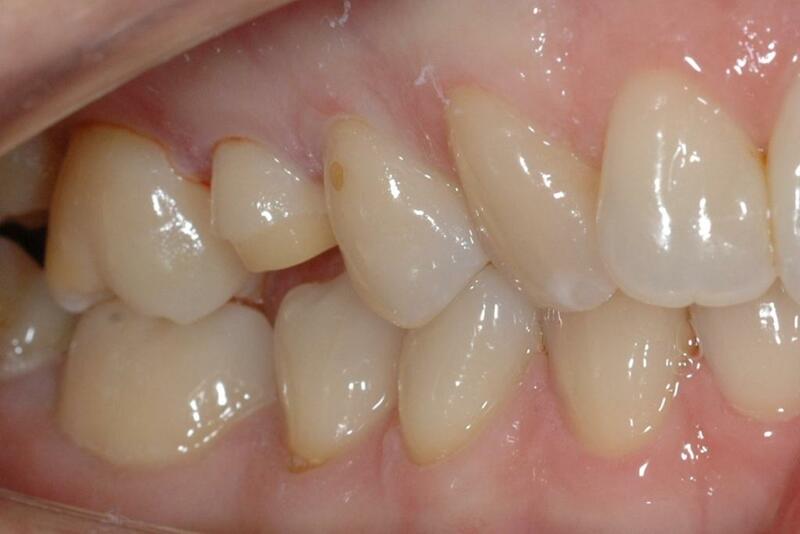 Other white spots are more natural occurring as a hypomineralised layer of the tooth surface that appears frosty. Some of these are very superficial and and be removed in less than 5 minutes with a mild acid that we use for tooth bonding, followed by a fine mineral particle that helps clog the porosity and allow the tooth to regain it’s transluceny. 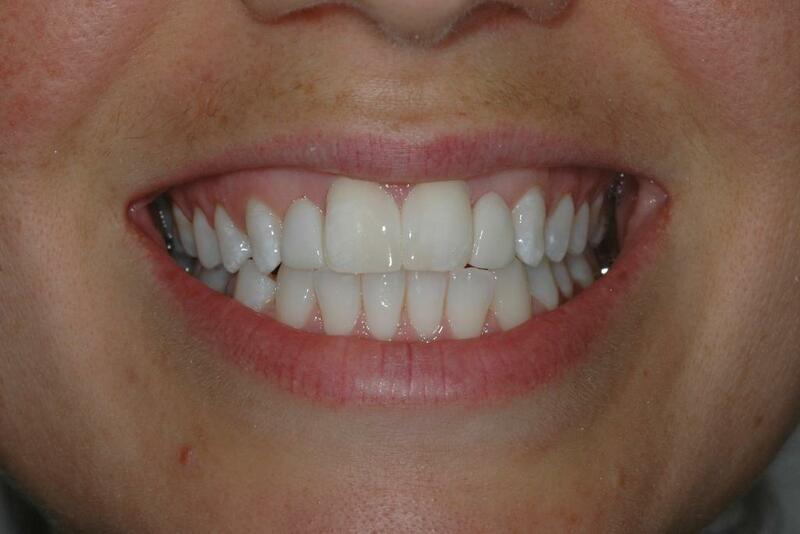 Here is another case we did last week. What a difference a smile makes! 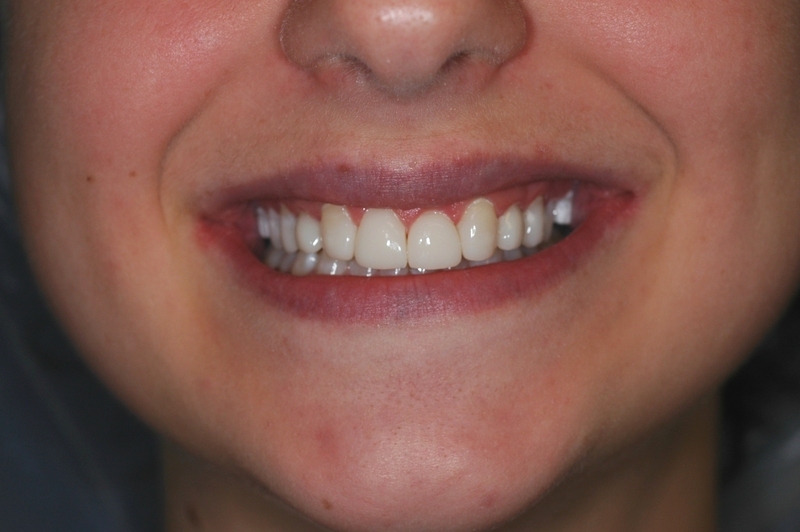 This patient was missing her lateral incisors – a common genetic occurence. 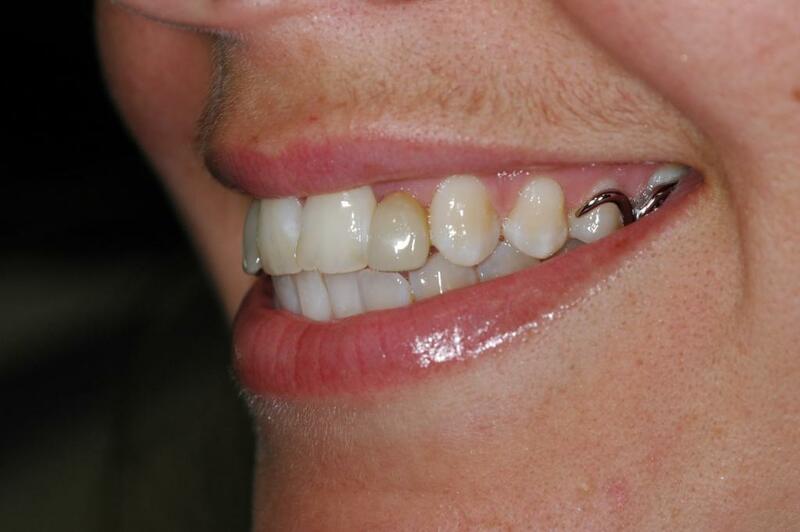 Her options were a denture, bridges, or implants. I would prefer inplants but there was no room in the bone to fit them. 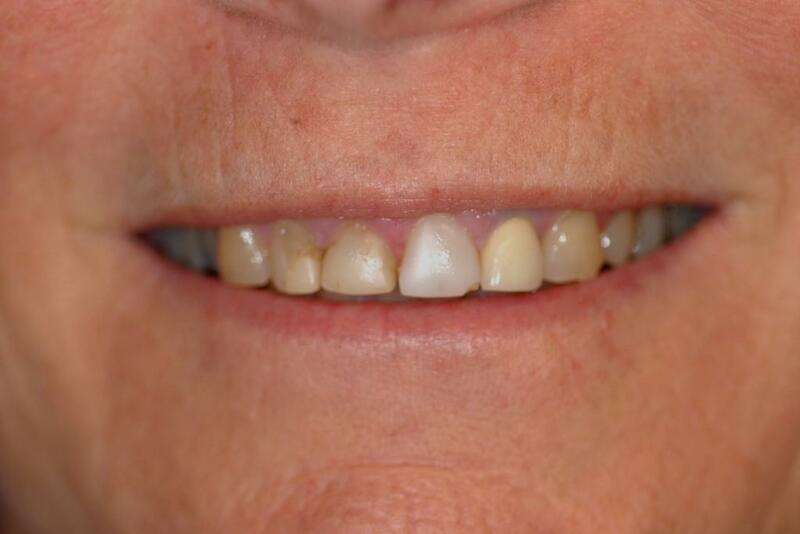 She had worn the denture since a teenager and hated it – why wouldn’t she. That only left us with bridges. 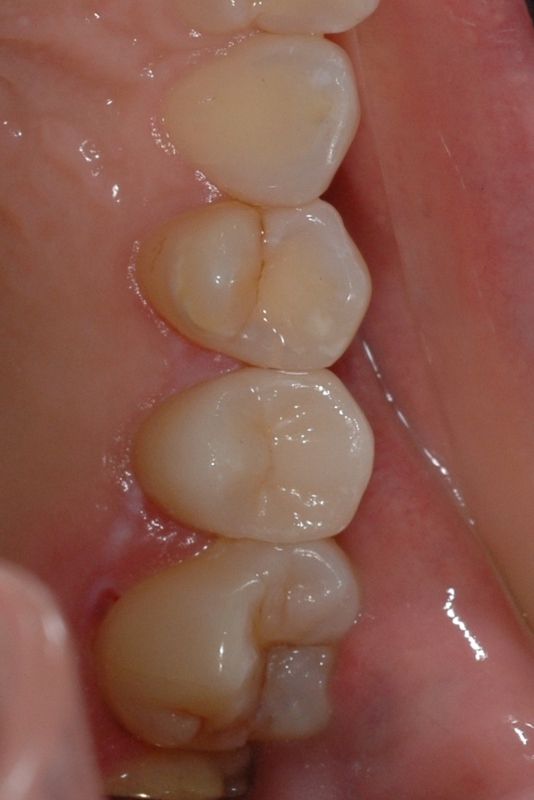 A bridge is a false tooth that is attached to the exisitng teeth on either side or both sides. Traditionally this meant cutting the tooth significantly. Newer techniques give us more options. These bridges have been made with Zirconia, a very hard and strong porcelain, with a wing wrapping around the back of the front teeth. By use of a new spray on porcelain bond, we were able to bond the Zirconia wing onto the back of the front incisors without any prepping or danage to the existing teeth. The porcelain bride cantilevers out over the space. 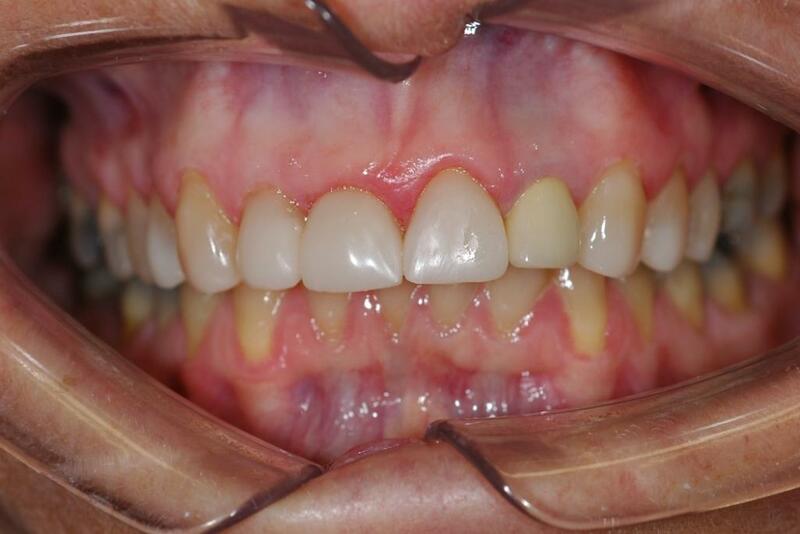 I have also closed the dark triangle between the front teeth with tooth coloured composite resin bonding as the patient found it unattractive. I think we have ended up with a lovely result. 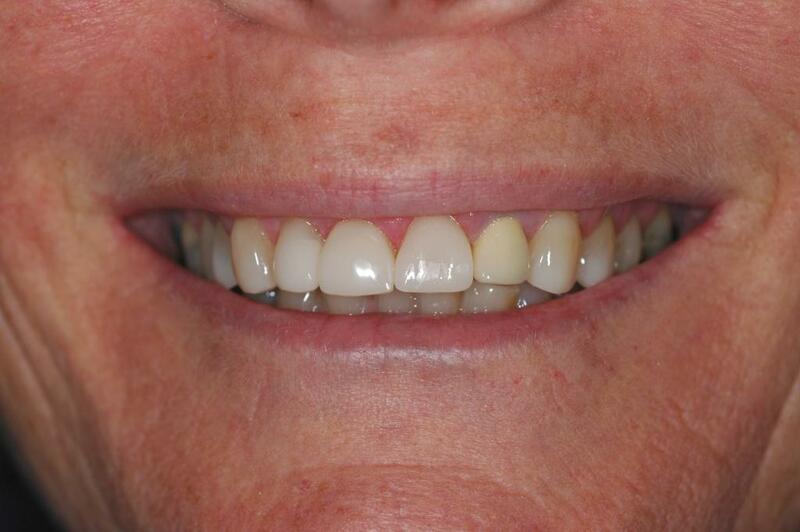 This lady had worn and chipped her upper teeth on the inside until they were so thin they were about to break. 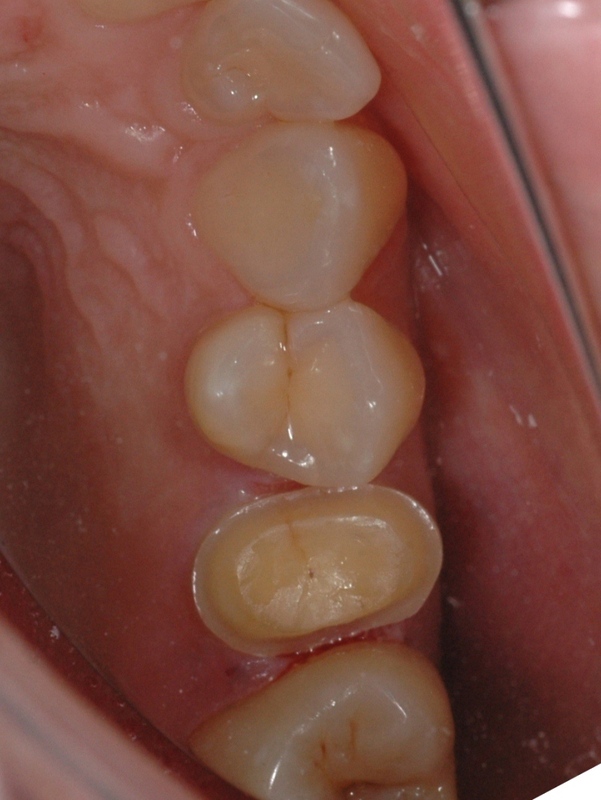 The yellow tooth on the right second from the middle is an old crown which the patient couldn’t afford to redo so we had to match it in colour and shape. 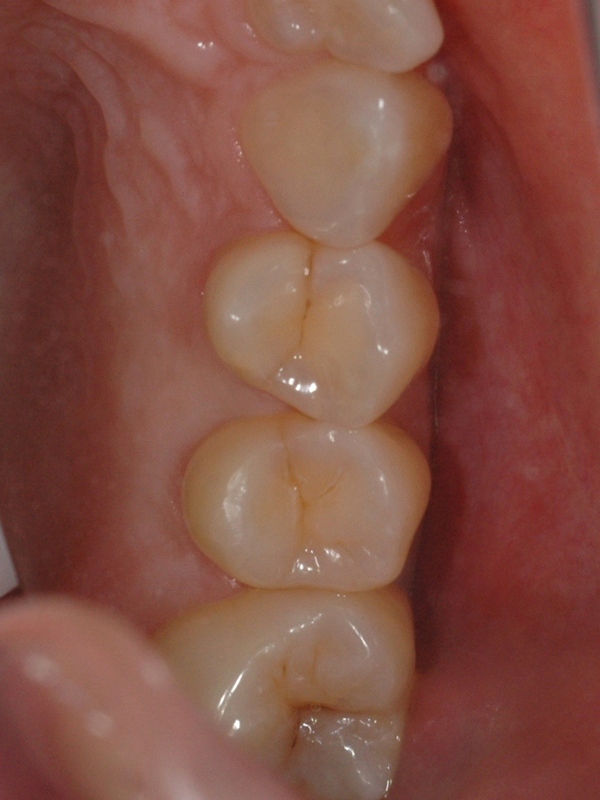 Crowns are hard and durable but bonding often means less tooth needs to be removed and they are cheaper. Because all of this patients teeth had worn we were needed to build them all up (or at least 10 of them) – compare $250-$300 per tooth for bonding vs. $1500 per tooth for crowns. They may not last as long or be quite as perfect in appearance but they can be a great low cost option without losing teeth and getting dentures. It was done in one day and crowns would take weeks or even months. I would be happy to get 5 years up to 10 years for this kind of procedure. Despite the cost, in the long term I would still prefer porcelain crowns. 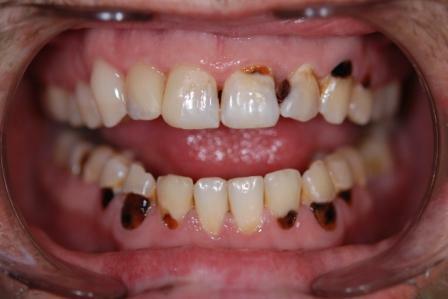 This dental patient was missing her lateral incisors and the adult canines erupted into the space, with the baby teeth canines still in place. 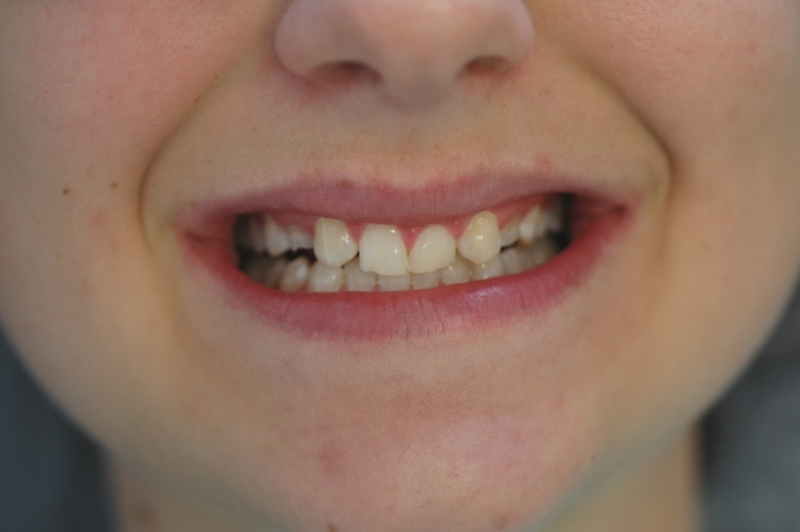 You can see the baby teeth have worn down severely, and the adult eye teeth look bulky in this position. The best way to treat this would be by extracting the baby teeth, moving the eye teeth to where they should be with orthodontics, and then placing implants in the spaces. Unfortunatley this would be expensive and take many months to complete. While our patient is saving for the best long term solution, we were able to provide a great compromise using dental composite resin. This will prevent further wear and is completely reversable. It was done in one appointment for the cost of less than 1 crown. You can see the compromise is the position of the gum due to the adult eye tooth being so large. 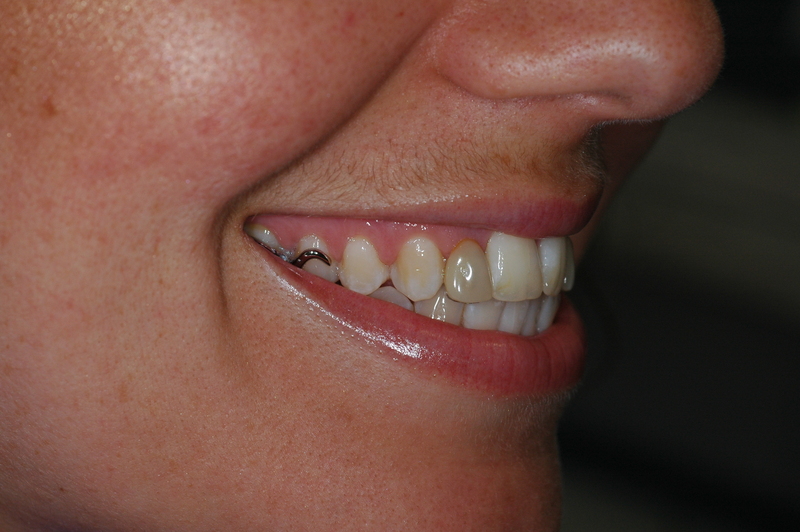 That is why orthodontics and implants in the long term will be the best option for the missing insicor teeth. I’ve shown this young guy before. We are just picking away at it a bit at a time. The most rewarding thing is this patient has listened to everything about home care and prevention and is looking after things beautifully. 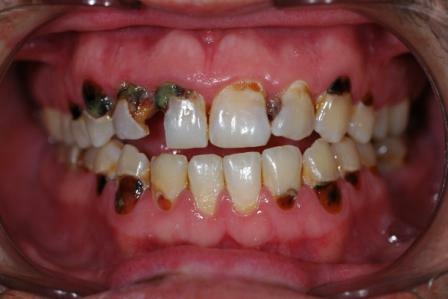 See how the gums are pink and healthy and the remaining decay is so clearly visible. Without good home care, nothing will last. This was the first day we met. The front 2 right teeth we managed to avoid exposing the nerve in the centre of the tooth despite severe decay. They have temporary fillings to keep things stable until we sort out the remaining teeth. 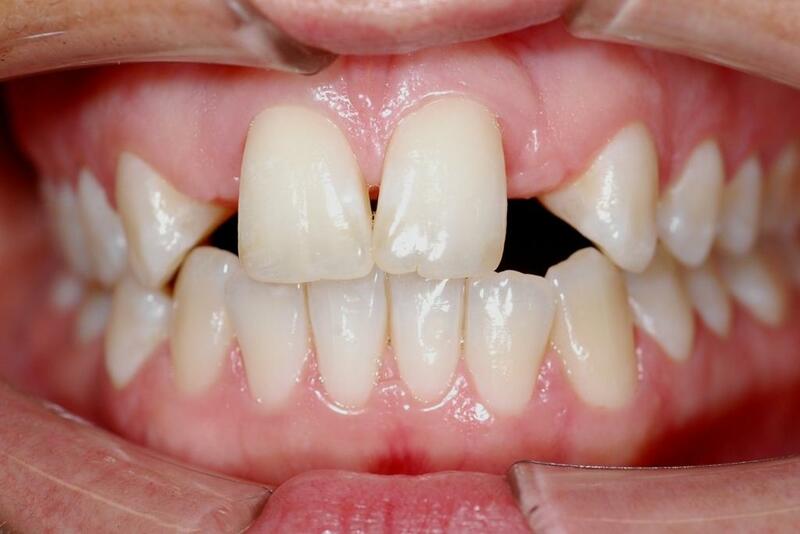 The 2 teeth further back have permanent composite resin restorations placed. This was today before we started to tackle the upper eye tooth and tooth behind. So far this has been four visits at about $300 a trip. We are just going at a rate our patient can afford. I’ll keep future updates as I get time.